Ever since Google bought Waze, we’ve been waiting for some of its more popular features to worm their way into Maps. A few months back, we got a hint from an APK Teardown that Google was preparing to add incident reports to Maps. Now, this feature seems to be appearing for at least some Maps users. At least one person on Reddit has noticed this feature in addition to our tipster, but the functionality is probably only showing up for a small number of users. Take a peek at the Maps UI the next time you’re navigating, and you may have a new report button down at the bottom of the screen. Tap that, and you can tell Google you’ve encountered either a crash or a speed trap (see above). Currently, this only works in navigation mode, but it’s just a test. Since most people don’t have the reporting feature, you’re unlikely to benefit right now. 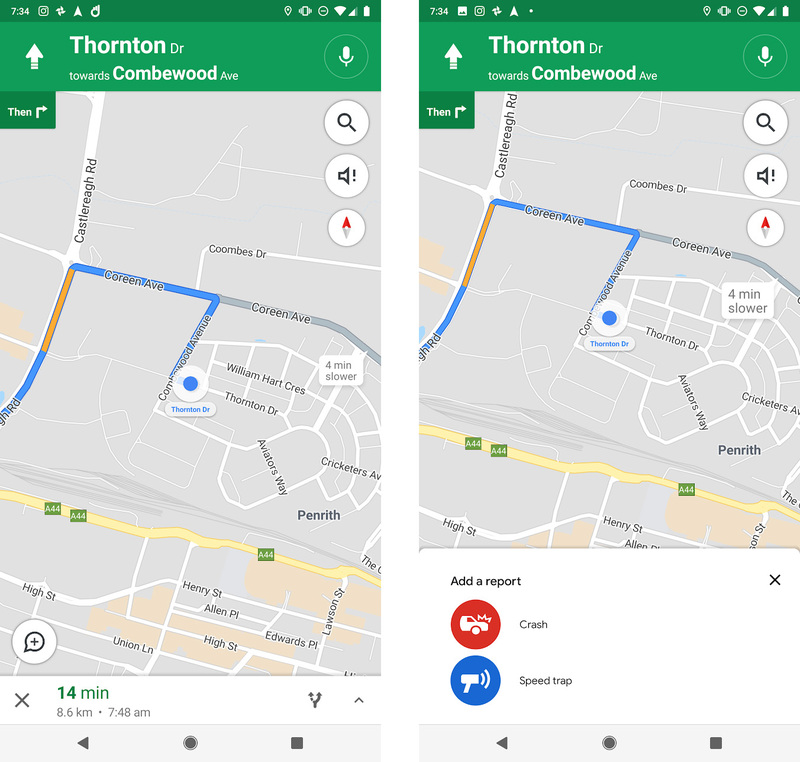 If Google decides to move forward with this for everyone, Maps might be able to alert you when you’re approaching a speed trap or route you around crashes more effectively.